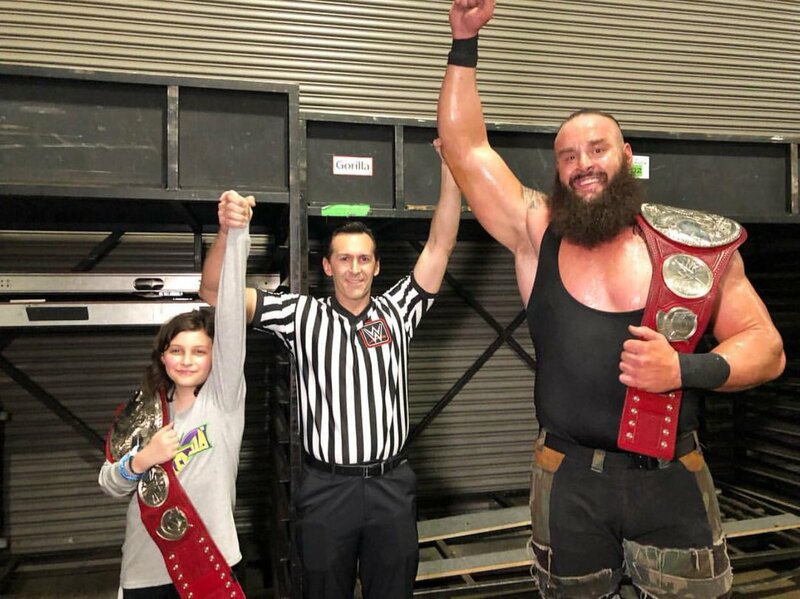 The young boy, Nicholas, who teamed with Braun Strowman at WrestleMania 34 last night to win the RAW Tag Team Championships is the son of WWE referee John Cone. A photo was posted to Twitter of Cone with his son and Strowman backstage afterwards. WWE has posted more interviews and videos following WrestleMania 34 last night.